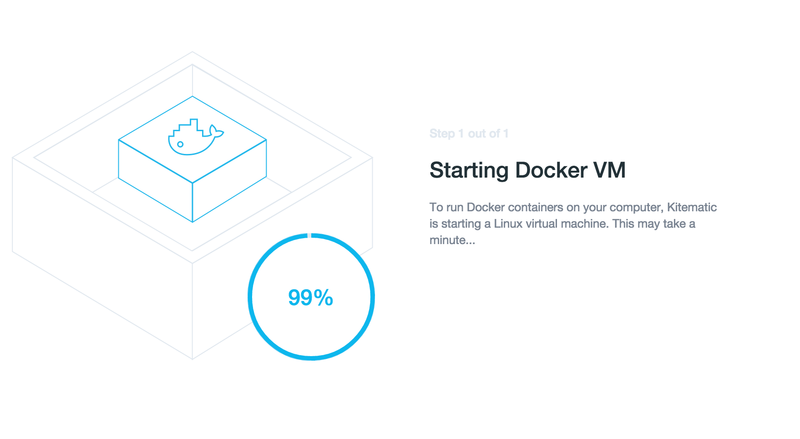 I spent my not-OU day today battling with trying to bundle up a dockerised VM, going round in circles trying simplify things a bit, and getting confused by docker-compose not working quite so well following an upgrade. I also spent a chunk of time considering the 32 bit problem, but got nowhere with it…. Docker is predominantly a 64 bit thing, but the course has decided in it’s wisdom that we have to support 32 bit machines, which means I need to find a way of getting a 32 bit version of docker into a base box (apt-get install docker.io I think? 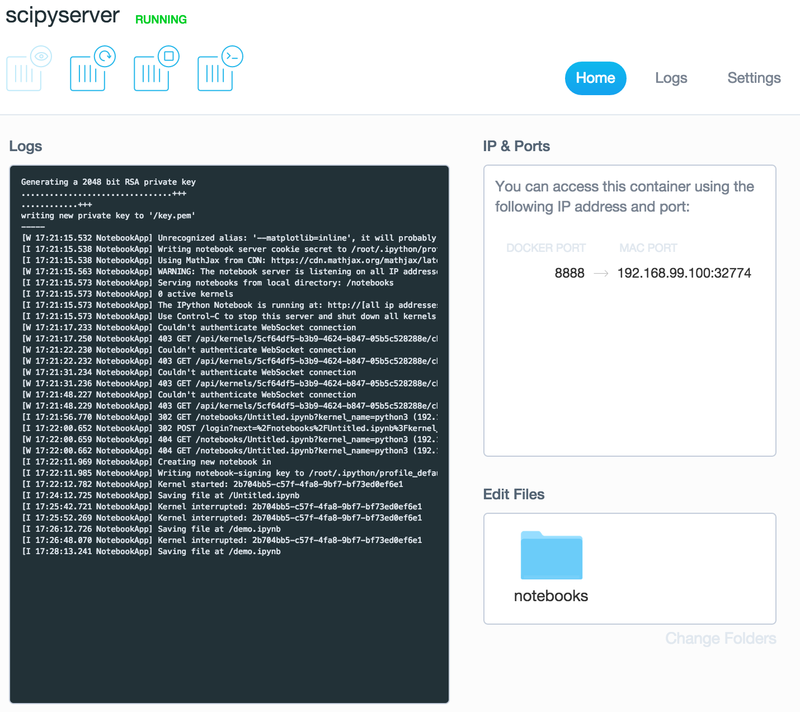 ), finding way of getting the vagrant docker provisioner to use it (would an alias help? 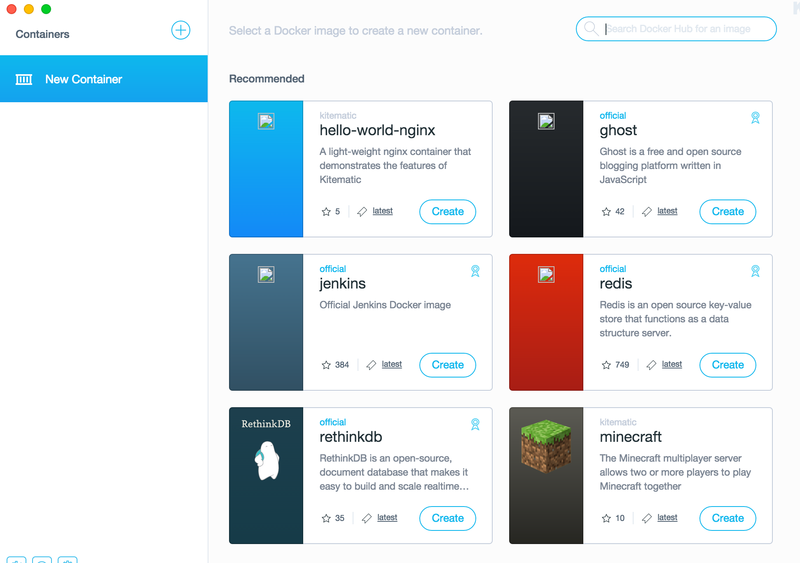 ), and checking that vagrant-docker-compose works in a 32 bit VM, then tracking down 32 docker images for PostgreSQL, MongoDB, dockerUI and OpenRefine (or finding build files for them so I can build my own 32 bit images). There are some sample (testing) notebooks here that illustrate some of the features. – download and unzip the notebooks (double click the downloaded file) and keep a note of where you unzipped the notebook directory to. 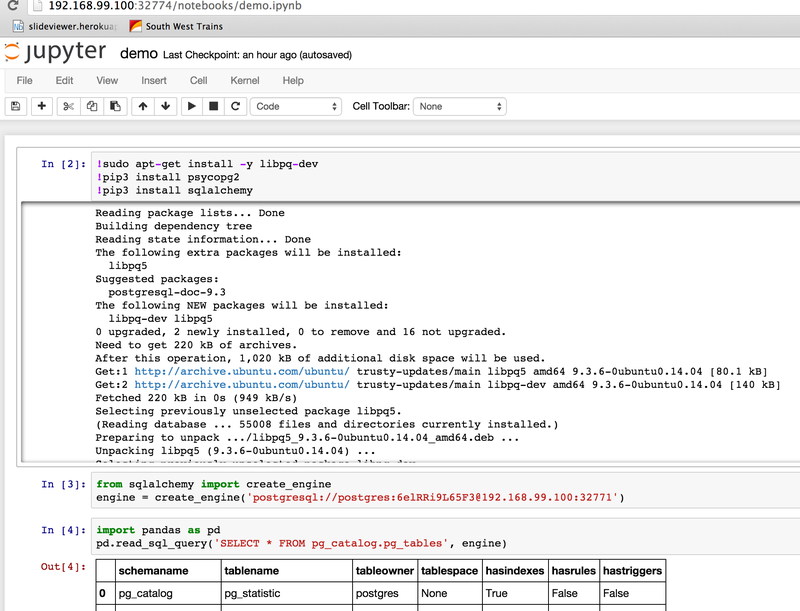 – download and install Kitematic. 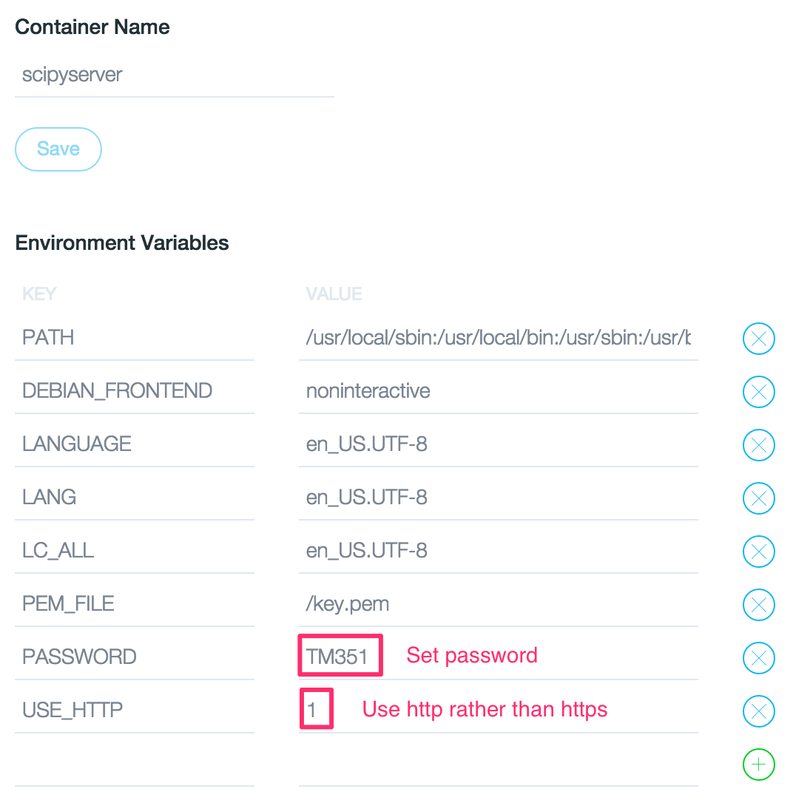 Ths makes use of docker and Virtualbox – but I think it should install them both for you if you don’t already have them installed. 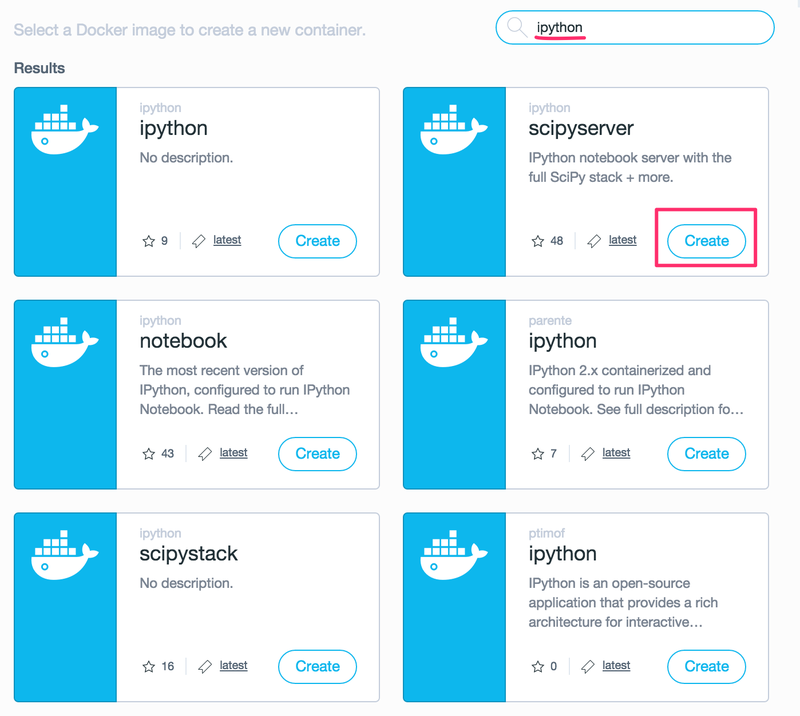 – start Kitematic, search for psychemedia/ouflpy_scipystacknserver and create an application container. It should download and start up automatically. 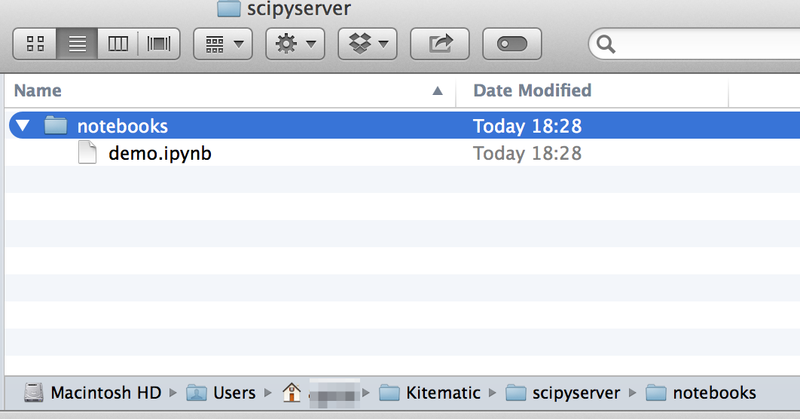 When it’s running, click on the Notebooks panel and Enable Volumes. 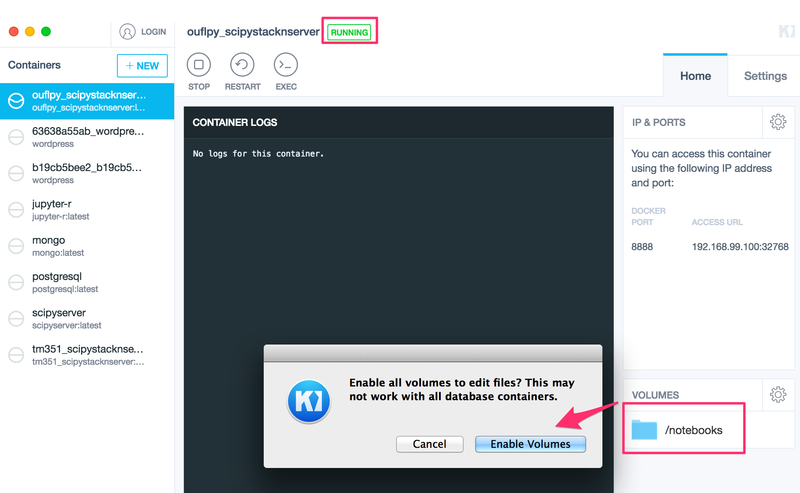 This allows the container to see a folder on your computer (“volumes” are a bit like folders that can be aliased or mapped on to other folders across devices). Click the cog (settings) symbol in the Notebooks panel to get to the Volumes settings. Select the directory that you created when you unzipped the downloaded notebooks bundle. Click on the Ports tab. 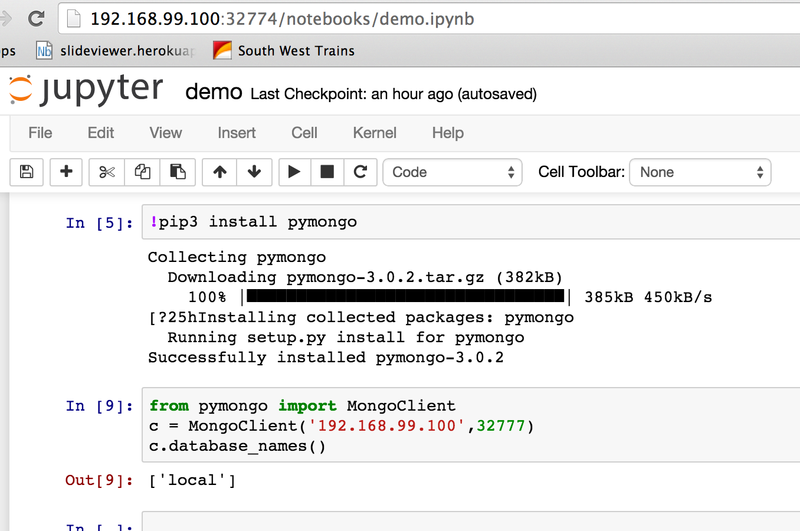 If you click on the link that’s displayed, it should open an IPython notebook server homepage in your browser. Click on a notebook link to open the notebook. The two demo notebooks are just simple demonstrations of some custom extensions and styling features I’ve been experimenting with. You should be able to create you own notebooks, open other people’s notebooks, etc. The potential of using containers still excites me, even after 6 months or so of messing around the fringes of what’s possible. In the case of writing a new level computing course with a major practical element, limiting ourselves to a 32 bit build seems a backward step to me? I fully appreciate the need to to make our courses as widely accessible as possible, and in an affordable a way as possible (ahem…) but here’s why I think supporting 32 bit machines in for a new level 3 computing course is a backward step. Admittedly, students on a computing programme may well have bought a computer to see them through their studies – if the new course is the last one they do, that might mean the machine they bought for their degree is now 6 years old. But on the other hand, students buying a new computer recently may well have opted for an affordable netbook, or even a tablet computer, neither of which can support the installation of “traditional” software applications. There’s a cost associated with running things in the cloud, of course – someone has to pay for the hosting, storage and bandwidth. But in a context like FutureLearn, that’s an opportunity to get folk paying and then top slice them with a (profit generating…) overhead, management or configuration fee. And in the context of the OU – didn’t we just get a shed load of capital investment cash to spend on remote experimentation labs and yet another cluster? If you give the container a go, please let me know how you get on… I did half imagine we might be able to try this for a FutureLearn course, though I fear the timescales are way too short in OU-land to realistically explore this possibility. 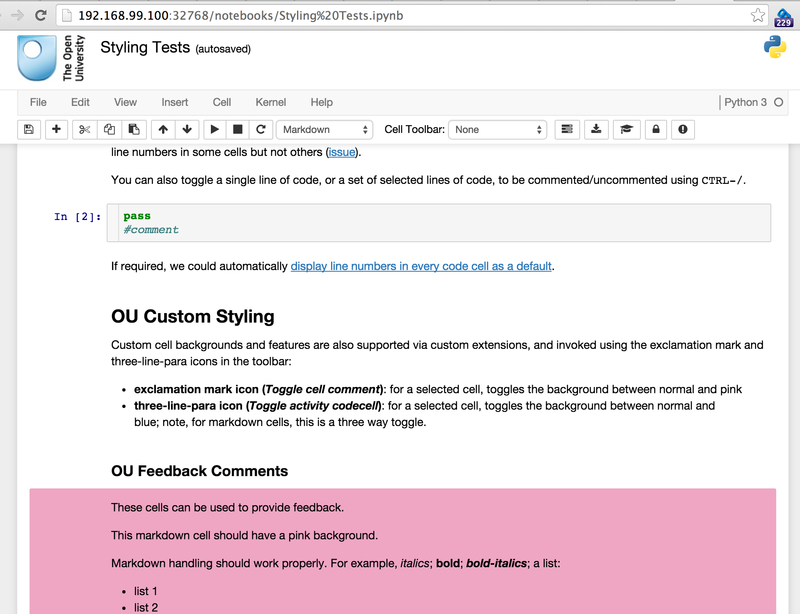 Author Tony HirstPosted on May 18, 2015 August 10, 2015 Categories OU2.0Tags kitematic, VM1 Comment on Kiteflying Around Containers – A Better Alternative to Course VMs?